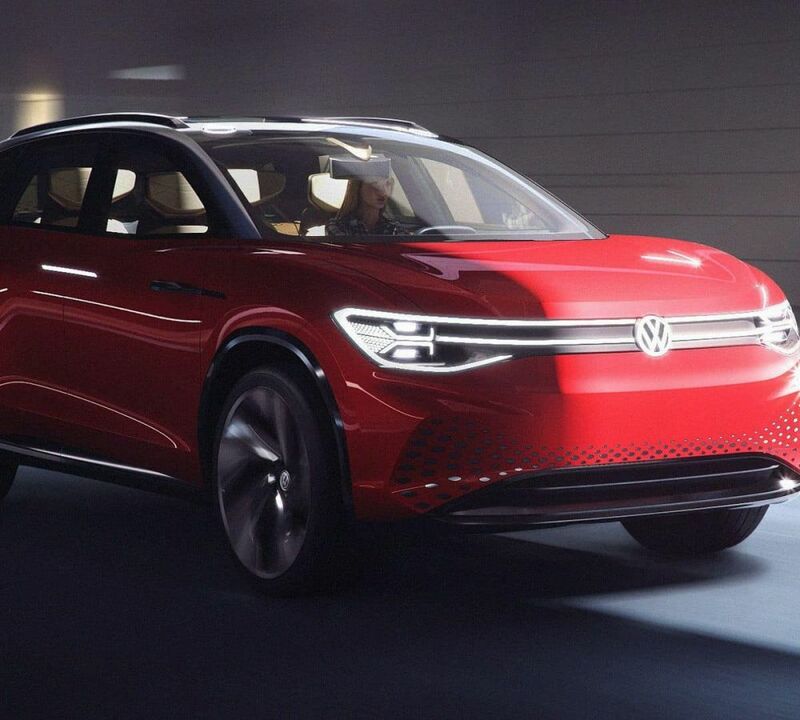 With Volkswagen's commitment to electric vehicles rapidly and seriously expanding, the automaker is using every major show venue to tease its future wares. This time it is an addition to the I.D. electric family. It is a three-row SUV named the I.D. Roomzz. With the Shanghai motor show around the corner, it’s natural for automakers to tease about their latest and greatest. So, it only makes sense that Volkswagen is already teasing – more actually – about its latest probable addition to the I.D. family of electric vehicles (EV), the I.D. Roomzz, a three-row SUV, which is larger than the I.D. Crozz, a two-row SUV that debuted in Los Angeles in 2017. The I.D. Roomz uses the automaker’s universal electric platform, the MEB. The I.D. Roomzz seeks to strengthen VW’s hand in the three-row SUV range, but with a difference, the VW offering also offers zero emissions and adds in smart technologies. There’s also a reason for the Shanghai debut of the Roomzz: China is the world’s largest market for zero-emissions vehicles in the world. A central feature of the Roommzz is its three-row seating configuration. As noted, the SUV's MEB (modular electric drive matrix) platform which gives the automaker all kinds of design flexibility. For example, with a little rework, the Roomzz could become a lounge on wheels thanks to its open space design. The VW I.D. Roomzz features all-wheel-drive technology. According to the automaker, the SUV uses two motors to power the front and rear axles. The powerplants furnish 225 kilowatts, the equivalent of 302 horsepower. With this power output, the SUV can accelerate from 0 to 62 (100 kph) in a reported 6.6 seconds, and the I.D. Roomzz can reach its top end of 112 mph. The SUV employs an 82-kWh battery that allows a range of up to 280 miles. The I.D. family of five EVs is slated to be on sales by 2022. The first three vehicles the I.D. Roomz, I.D. Crozz, and the Compact I.D. Rounding out the line will be the I.D. Vizzion sedan and the I.D. Buzz, a minivan that looks to the Volkswagen Microbus for much of its inspiration. VW's plans call for global availability.